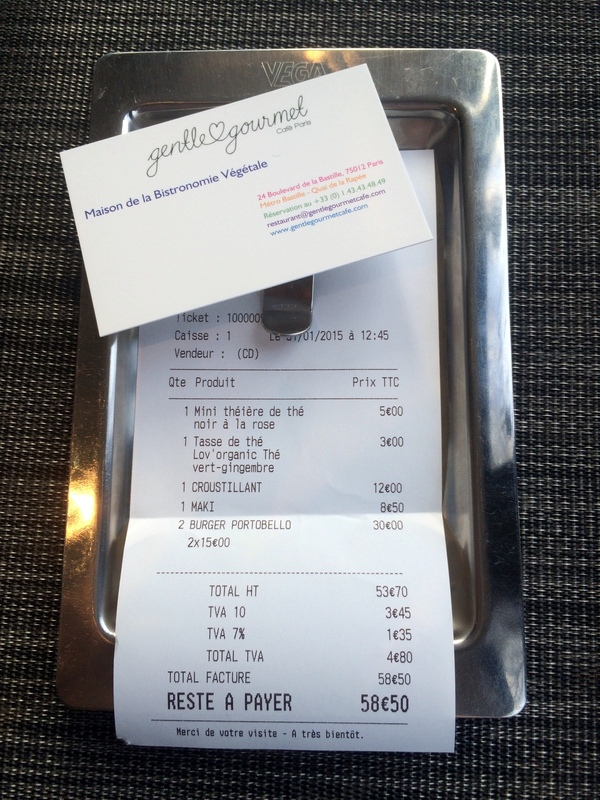 Gentle Gourmet came to my attention whilst searching for vegan restaurants for our weekend break in Paris, Fat Gay Vegan, Vegan Miam and Hey Rita all mention this great little find. 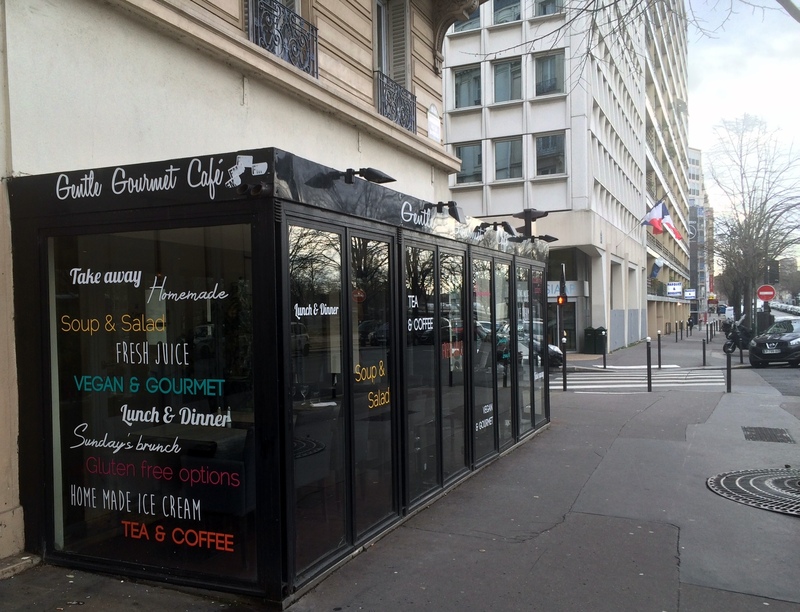 Located just down from Bastille Metro, Gentle Gourmet is somewhere you go for the food and the food alone; the restaurant decor and the views I found rather uninspiring, especially on a grey and cold January day. And people definitely do go for the food so I’d recommend phoning in advance to book yourself a table at Gentle Gourmet as it gets busy at the weekend, especially for Sunday brunch. 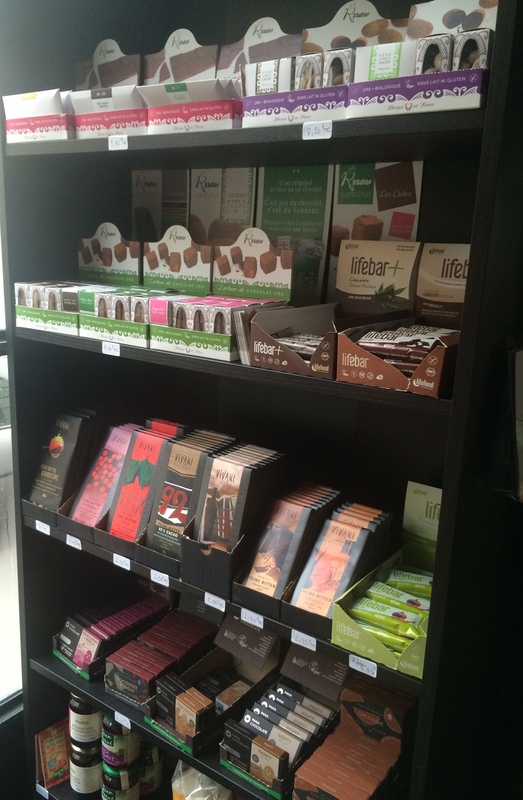 And a great selection of raw and organic chocolates to take away…don’t mind if I do! Alongside the restaurant, there is a small deli counter and selection of vegan, raw and veggie foods and books to take home with you, including some rather delicious Rrraw chocolates – we indulged in the rose-sesame variety to take away; cute packaging surrounding even cuter little squares of chocolatey goodness. 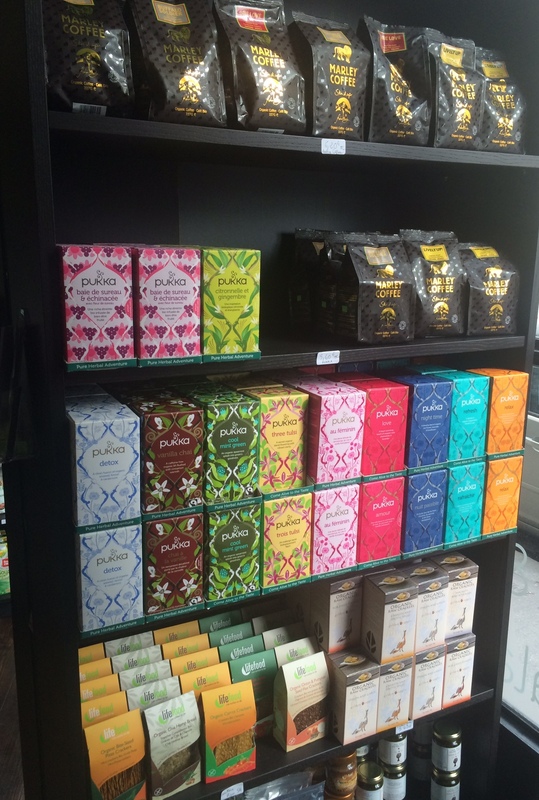 They also stock my fave Pukka Teas along with Marley Coffee. The menu is small and well balanced. From the starters I chose the Raw Maki and he had the Baked Phyllo Rolls. For our mains, we both opted for the Portobello Burgers. The large serving of Raw Maki was exactly what I wanted; I’m going through a veggie ‘sushi’ phase at the moment – I love the contrast of sea flavours, crunchy or creamy centres against the clean rice and the contrast of zingy wasabi. This lovely creation used finely grated carrot for the ‘rice’ with yellow pepper, avocado and macadamia in the centre, served with a blob of wasabi and smudge of shizo sauce. 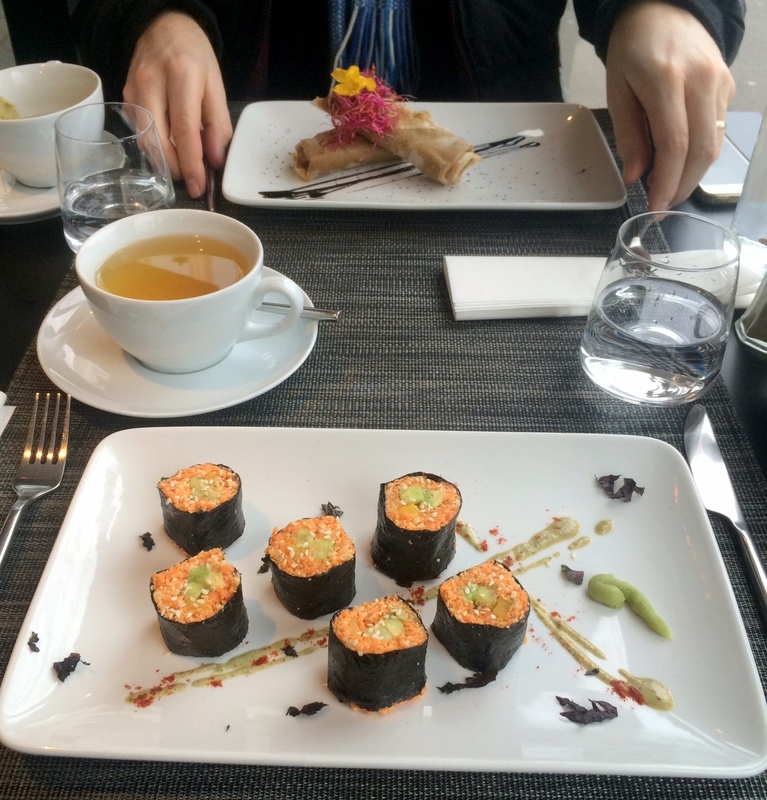 I was not disappointed with my hearty serve – each portion was just that bit too big for a mouthful, but I’m yet to find a better way to eat sushi than just ramming it in whole! My partners Baked Phyllo Rolls were stuffed with wild mushrooms, faux gras (yep, that’s right, faux gras; no geese were stuffed with food for the sake of something yummy, faux gras is usually a lentil/mushroom/nut combo) and served with a balsamic reduction and heady truffle oil. 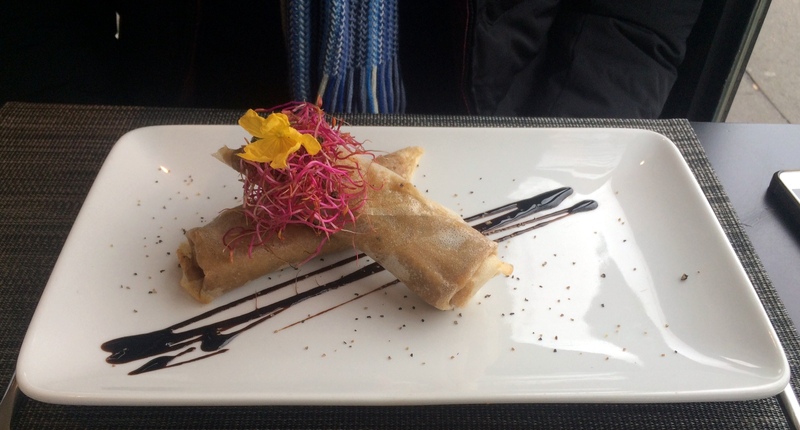 A really nice balance of light filo pastry, meaty mushrooms and truffle flavours and a rich creamy sauce. Our Portobello Mushroom Burgers hit another spot for us both, we were both craving something healthy yet warming and filling. 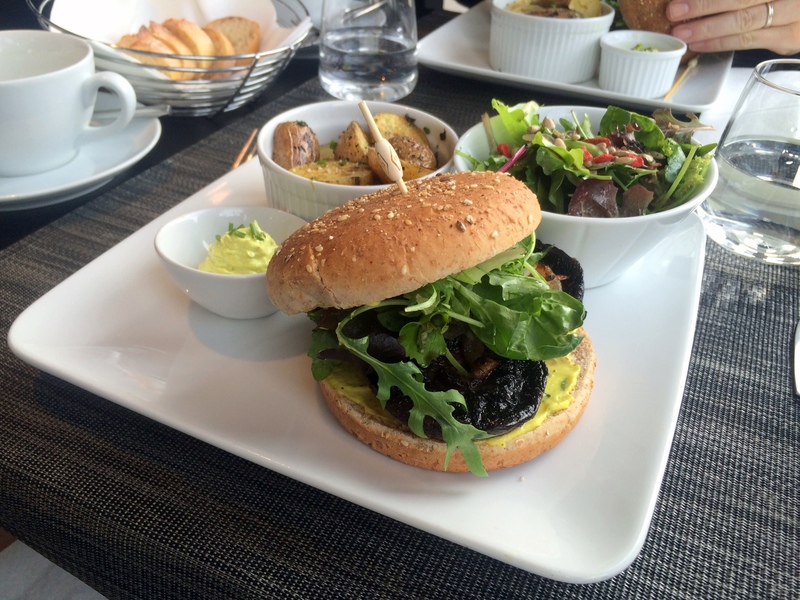 A wholemeal bun filled with marinated Portobello mushrooms, caramelised onion, salad leaves and béarnaise sauce with a side of sautéed potatoes did just that. 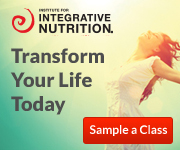 Highly recommended, and if you can’t get to Gentle Gourmet, they’re easily recreated at home. 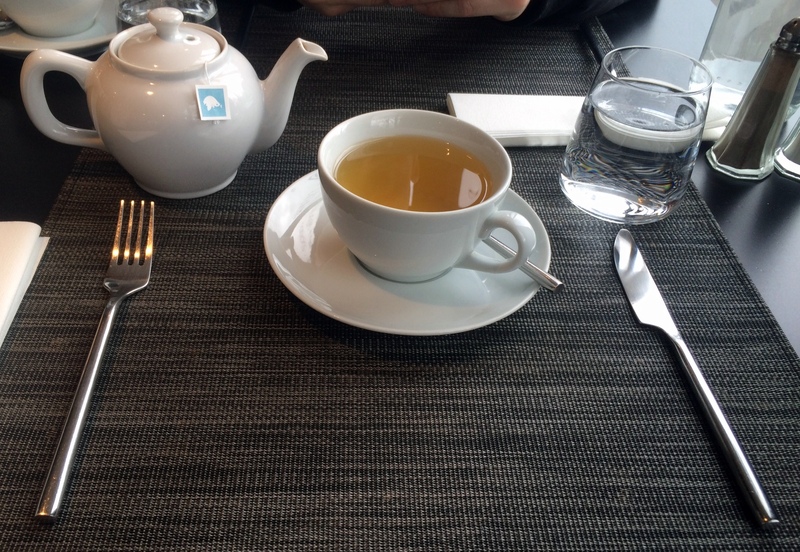 To accompany our meal, I had a pot of delicious Løv is Pure tea to cleanse and warm me. Although very tempting, we skipped dessert to continue our search for the best almond croissants in Paris. The service was friendly and attentive, importantly for us due to our sketchy grasp of French, were able to speak very good English. Full marks for the food though – smudges of sauce, edible flowers and micro-greens all prettied up the already good-looking food. The interior designer should take a leaf our of the chef’s book! Very happy with the generous serve of raw maki coming in at €8.50, Phyllo rolls were €12 and the Portobello burgers €15 each. 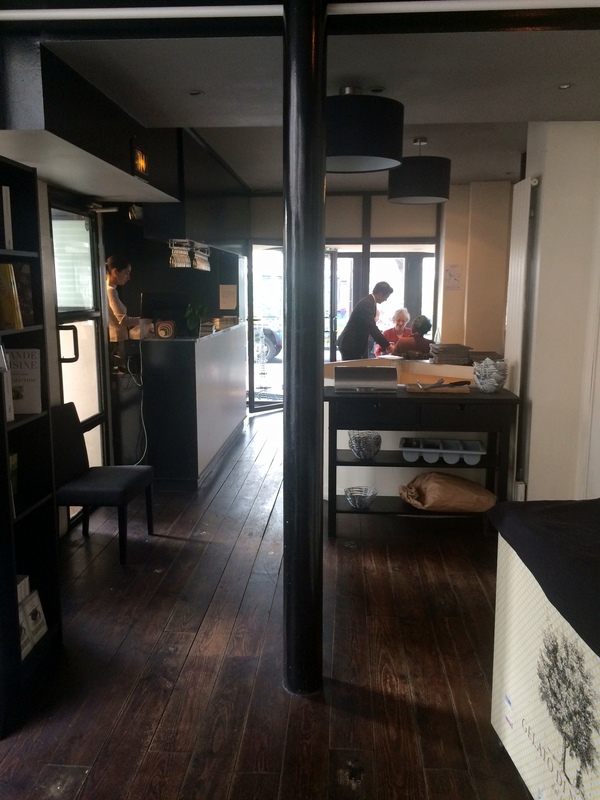 Quality and organic ingredients in the centre of Paris.